Varadharaja Temple is one of the Divya Desams, the 108 temples of Vishnu believed to have been visited by the 12 poet saints, or Alwars. 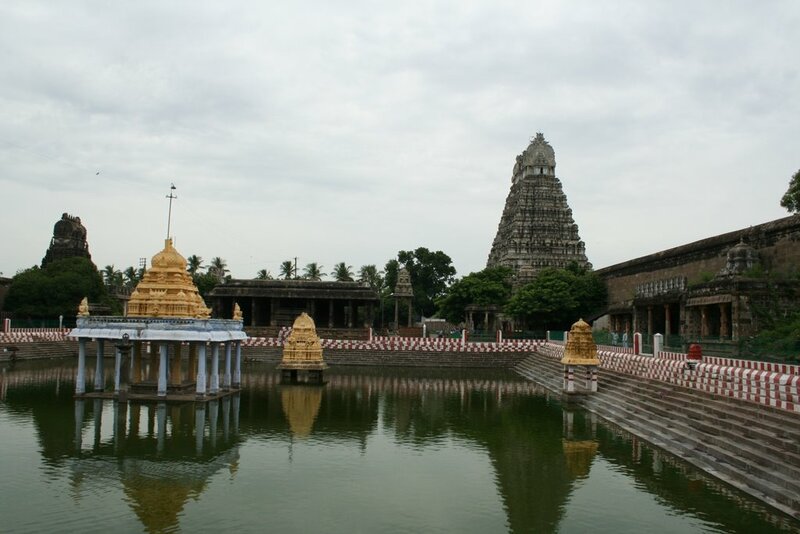 Temple is located in a suburb of Kanchipuram known as the Vishnu Kanchi that is a home for many famous Vishnu temples. One of the greatest Hindu scholars of Vaishnava VisishtAdvaita philosophy, Ramanuja is believed to have resided in this temple. Varadarajar Temple is a massive and impressive edifice. The main Deity of Sri Varadaraja Perumal in this temple is very large, and is believed to be second in size to none other than the Deity of Sri Venkateswara of Tirumala-Tirupathi in Andhra Pradesh. The name Hastigiri is applied in the association of Gajendra moksham and from the myth that Indra's elephant Airavatam , in the form of a hill bears the image of Lord Vishnu. The Varadaraja Temple is a huge one on a 23-acre complex and it is known to be famous for its religiousness and ancient history. The Varadaraja Temple has a magnificent hall of 100 pillars. Shri Vardaraja Swami Temple is a temple full of beauty which lies inside three grand circles. During the bhramotsavam in vaigasi (may-june) thousands crowd the temple and it increases at least by a two-fold during the garuda vahanam. 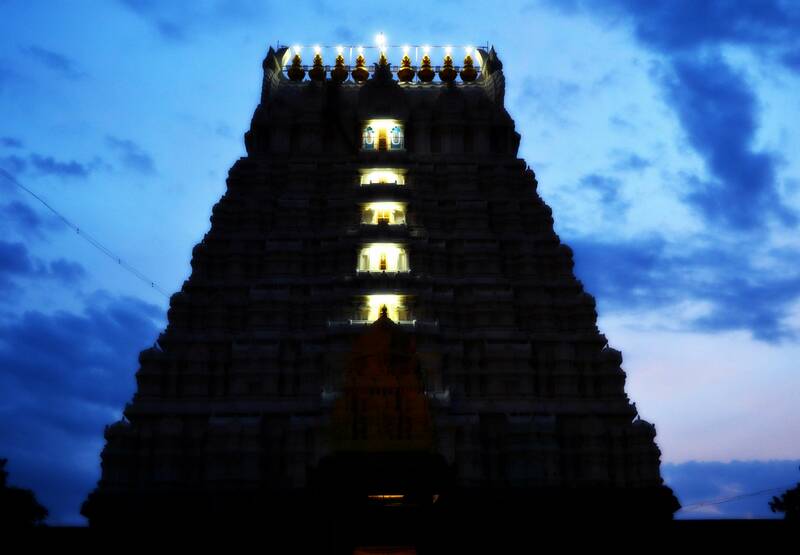 Temple Timing: The temple is open from 6.00 a.m. to 11.00 a.m. and from 4.00 p.m. to 8.00 p.m.
Varadharaja Perumal Temple is located in the holy city of kanchipuram,Tamil Nadu. Varadhraja Temple is a Hindu temple dedicated to lord Vishnu.This Temple is also called as Thiru katchi, Athhigiri koil. The primary deity of the Varadharaja Temple is "Varadaraja Perumal(Vishnu)". The important festival in the varadaraja temple is VaikasiBrahmmotsavam. Varadaraja Perumaal Temple, one of the celebrated Vaishnava Divya Desams, is located in Vishnu Kanchi, or the little Kanchi.The Moolavar here is Varadaraja Perumal in a standing posture facing west. Perundevi Taayaar is housed in a separate temple within the complex.Its vast temple campus is an amalgamation of embellishments over several centuries. The Temple was renovated by Pallava and Vijainagar kings. This is a temple that celebrates some festival each month. Famous among them is the 10 day Vaikasi Brahmmotsavam beginning on the Poornima-Vishaka star day. Purattasi Navarathri festival is of a 10 day celebration. Vaikunda Ekadasi is observed in December-January. All festivals draw huge devotee crowd. In 1053, the Cholas rebuilt the base of the hill, on the east west axis, to signify a cave in the hill, within which the icon of Narasimha sits as a yogi facing west. Several inscriptions are seen in this shrine.They circled the hill with a double storeyed cloistered veranda with colonnades of uniform pillars creating an open courtyard with a chola style gateway on the east. This temple was expanded vastly during the reign of Kulottunga Chola I, and his son Vikrama Chola (1075 - 1135). It was during the same period that expansion work at the temples at Chidambaram, Tiruvanaikka, Sirkazhi, Tiruvarur and Srirangam were carried out. Other shrines built during the Chola period were those of Karimanikkapperumaal, Anantalwar, Abhisheka Mandapam, and the Perundevi Taayar shrine. A separate shrine for Perundevi was built on the south west, facing the sanctum, (rebuilt in 15th ent). By 14th century,the Cholas built another encircling wall including a tank etc with a gateway and a 7 tiered tower. There are now 5 courtyards. After the long period of Chola patronage, and the political confusion following their decline, the Varadaraja Perumaal temple, came under the patronage of the devout Vijayanagar rulers, who added the towering Eastern Gopuram, and the beautiful Kalyana Mandapam, the Oonjal mandapam etc. Vijayanagar rulers embellished this shrine in the 16th century with minute carvings, pillared verandahs for circumambulation, a shrine for Andal, large hall for Navaratri, Unjal Mandapam, Kalyana Mandapam, (575 sq meters in 2 meter high plinth with 96 monolithic pillars, geometric designs, yalis, rampant horsemen, european soldiers). 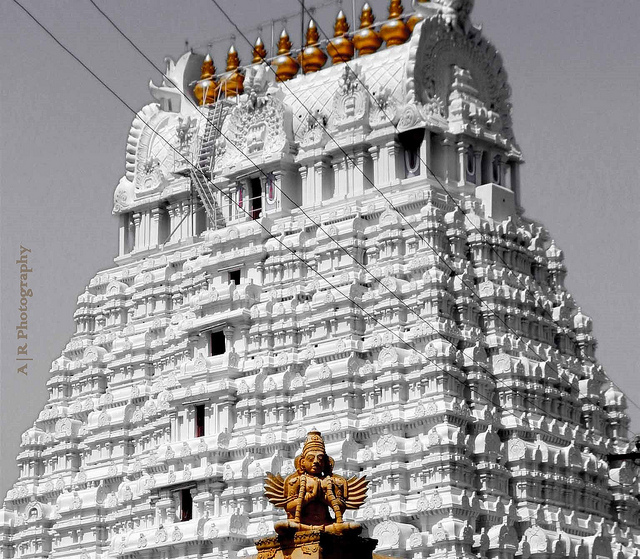 The east gopuram is 9 tiered rising to a height of 180 feet while the western gopuram is 160 feet high. The temple occupies an area of 20 acres. Stone chains adorn the hundred pillared halls. Festivals: Four worship services are offered bere by priests who are said to be descendents of Yagna Valkyar. The annual Bhramotsavam is celebrated in the month of Vaikasi, while the Adhyayanotsavam is celebrated in the month of Margazhi. The Garuda Sevai and the Chariot festival during the Bhramotsavam draw thousands of pilgrims. During Chitra Pournami and Pongal, the deity is taken out to neighboring areas. Sri Imayavarappa Perumal Temple, Chenganoor ,Keral..
Uthamar Kovil - Sri Purushothaman Temple,Trichy,Ta..